On February 7th, Charlie Gryska went to the ED after a few days of an unrelenting headache and some blurry vision. The next 24 hours took a devastating turn for Charlie and his wife, Jackie. Charlie was diagnosed with an aggressive brain tumor, known as a Diffuse Midline Glioma. 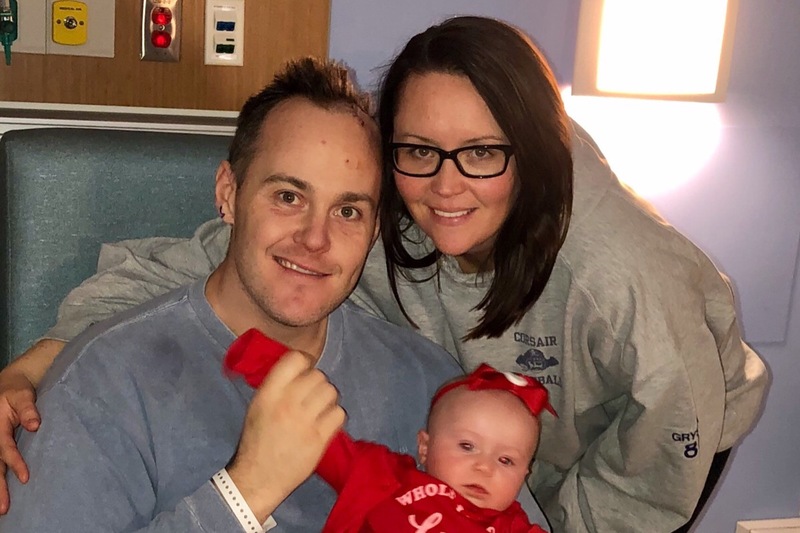 Charlie has been through two surgeries since then-one to place a VP Shunt to help prevent swelling to his brain and the other to biopsy the tissue for tumor identification and staging. This type of tumor is seen more in pediatric patients and is rarely seen in adults. It is considered a Grade 4 tumor due to its aggressive tissue type but has not metastasized. Charlie is in the first week of a Monday through Friday vigorous radiation treatment schedule, along with daily oral chemotherapy pills. 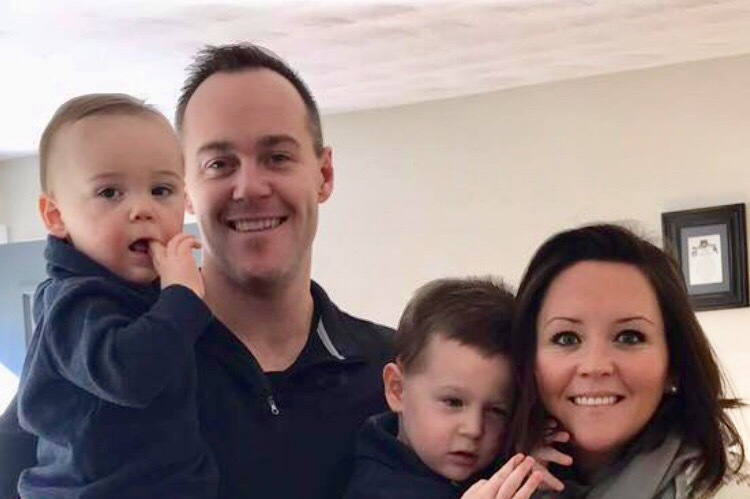 At 33 years old, with three young children, ages 5 years old and under at home, Charlie and Jackie’s lives have been up-ended in the absolute worst case of circumstances! Charlie has been a police officer with the Waltham Police Department and has not been able to return to work. His wife, Jackie, has “been a champ, ” according to Charlie’s own adoration of his wife. Likewise, Jackie has praised Charlie for his strength and willingness to fight this battle! Charlie and Jackie need our help! 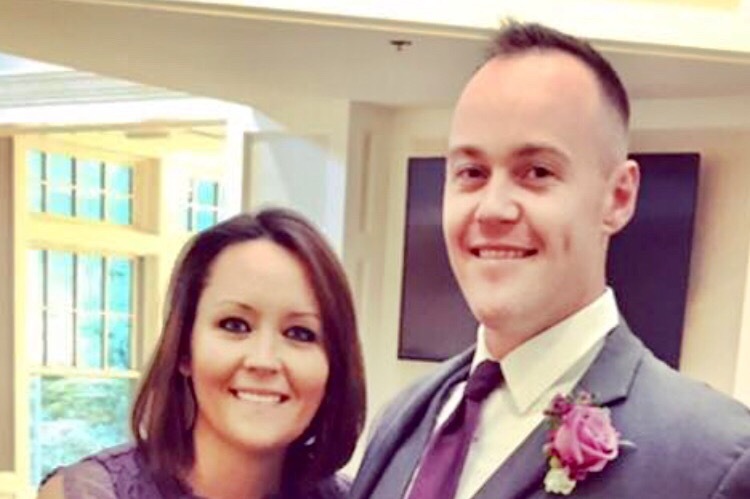 Anyone close to this couple, knows that either of them would be the first to offer help to family, friends, or colleagues. 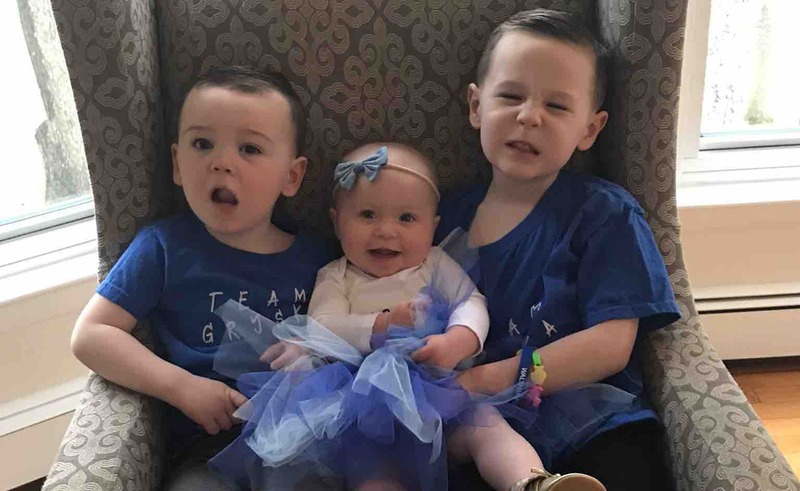 It is our hope to provide this family with some financial piece of mind so that they can put ALL of their strength and energy into Charlie’s treatment and recovery. For anyone who is fortunate enough to have Charlie in their life, they know that he isn’t a “good guy…” He’s a GREAT GUY! In all aspects of his life, Charlie brings laughter, loyalty, love, and strength to those around him! You can’t help the smile that comes across your face with the mention of his name! So it came as no surprise when Charlie and Jackie were drawn together during the first month of their freshman year at UMass Dartmouth. The spark was lit and has never dimmed! To see Charlie and Jackie together, is to see true love! 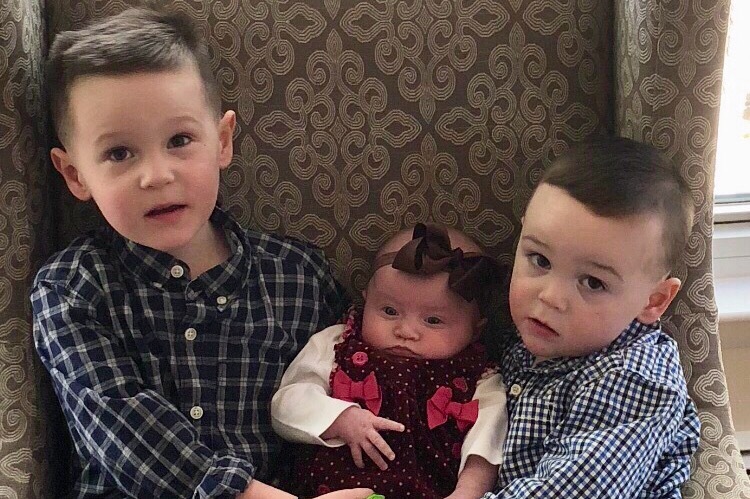 They are in the prime of their lives and have 3 adorable children; Jack (5 years old), Bryce (2 years old), and the Little Princess, Abby (7 months old). We ask you to join us in being part of Charlie’s Team and to help provide support to CHARLIE’S ANGELS-Jackie, Jack, Bryce, and Abby! Charlie has spent his life helping others and wears his police uniform proudly to be the person there to help others when called upon! The time is now for all of us to give back to him and to help him and his family on this long and difficult road ahead! Any and all donations wound be greatly appreciated and will go directly to the Gryska Family. Additionally, we ask that you keep Charlie and his young family in the forefront of your thoughts and prayers. The late basketball coach afflicted with cancer, Jimmy Valvano, put it best, and we ask all of you to please “Don’t Give Up. Don’t Ever Give Up.” Please help us support and stand alongside our friend. On behalf of Charlie and Jackie Gryska, we want to express our deep gratitude and appreciation for the kindness and generosity shown over the past two days to exceed our goal! Thank you to every person who donated, posted the link to the site, and reached out to learn more about this great family! The family is overwhelmed by the love and support shown towards them! Thank you all!